The Star Wars franchise is very important to many people. Over the last decade or so, the story has become more cartoonish and kid appropriate, even though the original trilogy never dealt with situations that I would find inappropriate for younger audiences. Nevertheless, as we all expected, Disney is not about to let their $4 billion investment go to waste, taking no time at all to pump out countless games from different game studios, and of course, Star Wars: Episode VII. The newest game teased for a later-this-year release is Star Wars: Galactic Defense. The gameplay sounds much like the other Star Wars game that just released, Star Wars: Defender, where you are tasked with building and protecting towers. Sounds original. Here is the official “About” for the title. 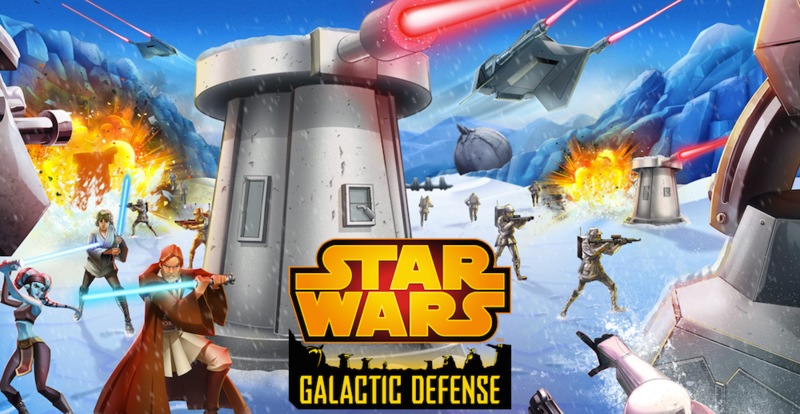 Experience the Star Wars universe as an elite tower defense force in the free mobile game Star Wars: Galactic Defense. This game propels the traditional tower defense genre into a galaxy far, far away by seamlessly blending iconic characters, adrenaline-fueled battles, and strategic gameplay into an exciting one of a kind mobile experience. The game is set to release later this year, free to download for Android and iOS devices, but I can assure you that there will be IAPs galore inside. I would also like to apologize if this post sounds like I’m crying. I’m not, but with complete control over one of the best franchises ever created (it’s okay if you disagree), I feel as though Disney could spare an extra dollar or two to come up with an original idea other than another “defender” game.